Optex FA is one of the world's leading producers of sensors and sensor solutions for industrial applications with quality, affordable LED, laser, laser measurement and fiber optic sensing solutions. They are committed to providing you with what matters most - high quality sensors and the best support in the industry. Stable, high accuracy, non-contact displacement laser measurement. 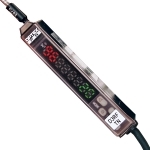 Developed for precision measurement of a variety of target surfaces. Reliable detection of material with various colors, textures and reflectivity without being influenced by objects in the background or foreground. 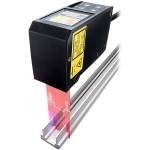 ​Ideal for detection of transparent material such as bottles, film, glass etc. Utilizes special polarized retro-reflective sensing technology. 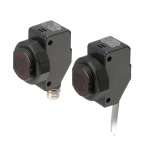 Presence absence detection sensors using the latest technology in laser diodes for small targets, long distance sensing at fast speeds. Next generation digital fiber optic amplifier with high speed detection, Many fiber cables, and highly reliable cost effective amplifier with 10 turn adjustment pot. Thru-beam, retro, diffuse, BGS/FGS, transparent object detection, divergent, and convergent modes are all represented in many different housing styles allowing for a wide variety of installations. 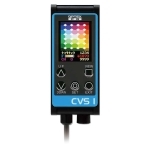 All-in-one color area sensors that are ideal for looking at larger areas and requiring more flexibility than traditional spot beam color sensors. 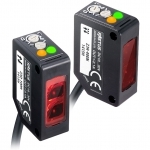 Color Vision and OCR sensors with built in processor for high speed applications are also available. 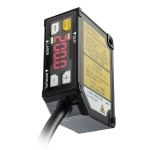 Clayton Controls is an Optex FA Sensors distributor in California. We offer technical support to help our customers solve their applications.